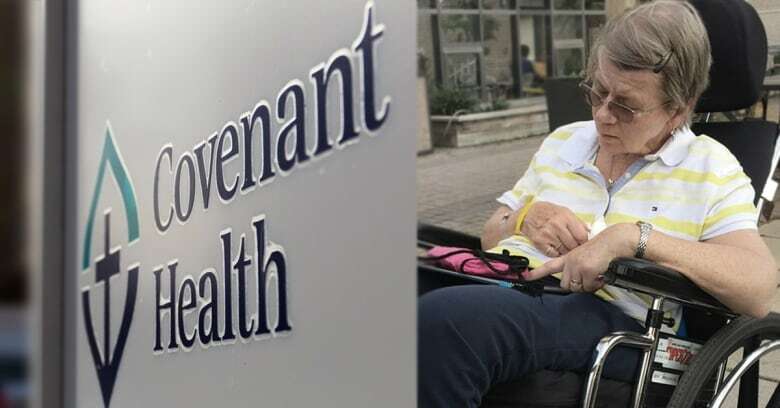 Neither Covenant Health nor Alberta Health Services tracks exactly how many patients have been forced to leave Covenant’s health facilities to access medical-assistance-in-dying services. Neither Covenant Health nor Alberta Health Services tracks exactly how many patients have been forced to leave Covenant's health facilities for medical-assistance-in-dying assessments, and for the procedure itself. But new federal rules that take effect Nov. 1 will require all doctors and nurse practitioners to report that information directly to Alberta Health Minister Sarah Hoffman, who will then forward it to Health Canada. On Tuesday, CBC News revealed 66-year-old ALS patient Doreen Nowicki was forced to have her assessment on the sidewalk after Covenant Health, a Catholic health service provider, abruptly revoked permission for her to have it by her palliative bed at the Edmonton General Continuing Care Centre. Covenant Health apologized and said it has taken steps to ensure it doesn't happen again. 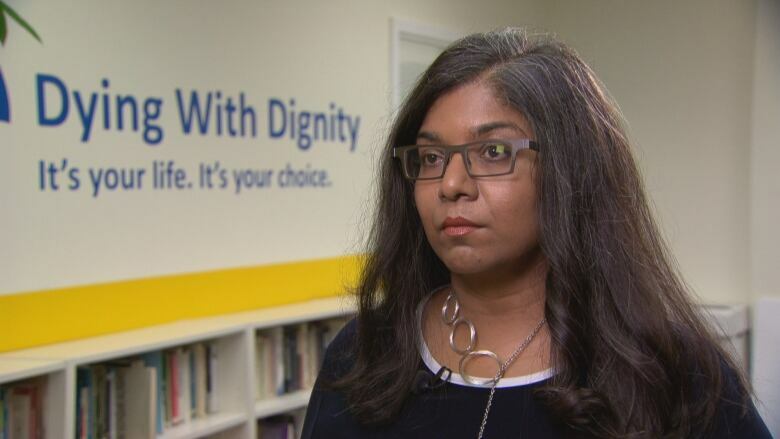 Dying with Dignity Canada CEO Shanaaz Gokool said the new reporting requirements will reveal the prevalence of forced transfers across the country. As she pursued a dignified end to her life, Doreen Nowicki had to be transported to a facility she didn't know, because her continuing care centre, operated by Covenant Health, refuses to facilitate medically assisted deaths. "(The reporting requirements) are going to help us to understand the obstacles and the barriers — and in some cases, we feel, obstructions — from facilities that have implemented a system of forced transfers for medical assistance in dying," Gokool said. Under the new federal requirements, all physicians and nurse practitioners, even those working for faith-based organizations like Covenant Health, must report when patients are referred or transferred off-site as a result of a patient's written request for medical assistance in dying (MAID). Clinicians must report the information to Alberta's health minister within 30 days after the day of the patient's referral or transfer. They do not need to report if it occurred more than 90 days after the patient's written request for an assisted death. CBC News asked Covenant Health to provide the number of patients who have been transferred from Covenant facilities for their assessments or procedures. The health provider couldn't give a definitive answer, and instead referred CBC News to Alberta Health Services (AHS). "We give all our data to AHS," chief medical officer Dr. Owen Heisler said. Covenant tries to track how many patients must go off-site to access MAID services, he said. There are not many, but "I'm not sure we capture them all," Heisler said. AHS says as of Sept. 30, a total of 64 patients have been transferred from faith-based facilities so they could have an assisted death. But the health authority couldn't say — without digging into each patient's file — how many of those 64 patients were at Covenant Health facilities, or how many patients have been transferred from Covenant facilities for their MAID assessments. An AHS spokesperson seemed surprised that Covenant Health could not directly provide this information. "It is really distressing to see both organizations passing the buck," Gokool said, adding the public shouldn't need to rely "on the courage of people like the Nowicki family to come forward and shine some light on information that is available, but will not be released." Covenant Health and many other Catholic health providers across Canada refuse for religious reasons to facilitate medical assistance in dying. The Alberta government has exempted Covenant from having to provide those services. But Covenant's MAID policy extends beyond its refusal to allow medically assisted deaths in its facilities. The health provider's default position is that its patients also cannot undergo on Covenant Health property the AHS assessments necessary to determine if they legally qualify for the procedure. Even if a patient is "extremely medically fragile" and is unable to stop treatment or be transferred without risk of harm, Covenant Health still only "might" allow the patient to be assessed on its property. The policy is not set to be reviewed for another two years. The health of Doreen Nowicki, the patient forced to have the sidewalk assessment, had deteriorated to the point that she couldn't walk or speak, and could barely eat. She became too distraught to complete the assessment, though she ultimately received an assisted death off of Covenant property. "This policy of forced transfers for the most vulnerable creates so much more suffering," Gokool said, adding that any delays to a patient's access to assisted-dying services "could result in them either slipping into a situation where they have lost capacity, or they may die while they are waiting. "In both of those instances, they will lose the right altogether to have an assisted death," Gokool continued. "And that is simply not acceptable." University of Alberta law professor Ubaka Ogbogu, an expert in public health law, told CBC News that Covenant's policy infringes on a patient's right to safe and appropriate care. Ogbogu said if Covenant refuses to abandon its current policy, the Alberta government should force it to happen because the practice creates a legal liability and is "terrible" for patients and their families. Hoffman has been unavailable for an interview. She released a statement saying Covenant has assured her its treatment of Nowicki was an isolated incident. Hoffman would not commit to any action on Covenant Health's current policy. If you have information about this story, please contact us in confidence at cbcinvestigates@cbc.ca.